Please call the office if you have any questions, concerns, or need to file a complaint. 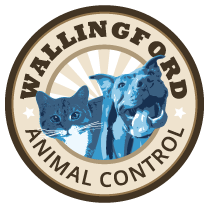 If you have an emergency, please contact the Wallingford Police Department. See below for examples of what an emergency would be. If you do not require immediate assistance, please call the animal control office, and leave a message. We will call you back within one business day. What is an Emergency?Emergencies would include sightings of a sick or injured animal that needs immediate attention, if you have found a dog that is now in your custody, or if you have been bitten by an animal. There is always an animal control officer on call, and available in the event of an urgent matter. However, please be sure to refrain from contacting the police department unless you are reporting a true emergency/urgent matter. Shelter Hours: The shelter is open to the public Monday - Friday from 1:00 - 5:00p and Saturday 10:00 - 3:00pm. We are closed on Sunday and holidays. Please Note: We are frequently called out during the day to handle calls and complaints. We make every effort to have the shelter open to the public between the hours of 12-5 Monday thru Friday. However, we may receive an unexpected call that we must respond to, so we apologize in advance if you visit the shelter and find us to be out of the office. Appointment Hours: Appointments for potential adopters are available outside of these hours, just ask! We are closed on weekends and holidays.